Gatlinburg,TN (March, 26 2015) – Ole Smoky® Tennessee Moonshine, Tennessee’s First Legal Moonshine is excited to step a little bit closer into America’s pastime by becoming an official partner of The Cincinnati Reds. The partnership includes are-branding of the ballpark’s Party Barn, transforming it into the Ole Smoky Moonshine Party Barn by Opening Day. The newly branded Ole Smoky Party Barn will feature a replica 100-gallon moonshine pot still from Gatlinburg, TN and signature cocktails served at every home game this season. Ole Smoky will outfit the Barn with signage and host various promotions and special events throughout the 2015 season. Signature cocktails served will include theMr. Redleg’s Punch, Ballpark Berry Lemonade and the Apple Pie Slammer; all made with Ole Smoky Moonshine’s signature flavors including the brand’s best-selling Apple Pie Moonshine, and fan favorites Hunch Punch Moonshine and Blackberry Moonshine. The signature cocktails will also be available at concession stands throughout the ballpark. “Our moonshine is as American as baseball, and we are thrilled to partner with one of baseball’s most historic teams, The Cincinnati Reds and their landmark Great American Ball Park. We can’t wait to show fans what our history and our moonshine are all about, starting by pouring some delicious cocktails,” said Ole Smoky co-founder Joe Baker. 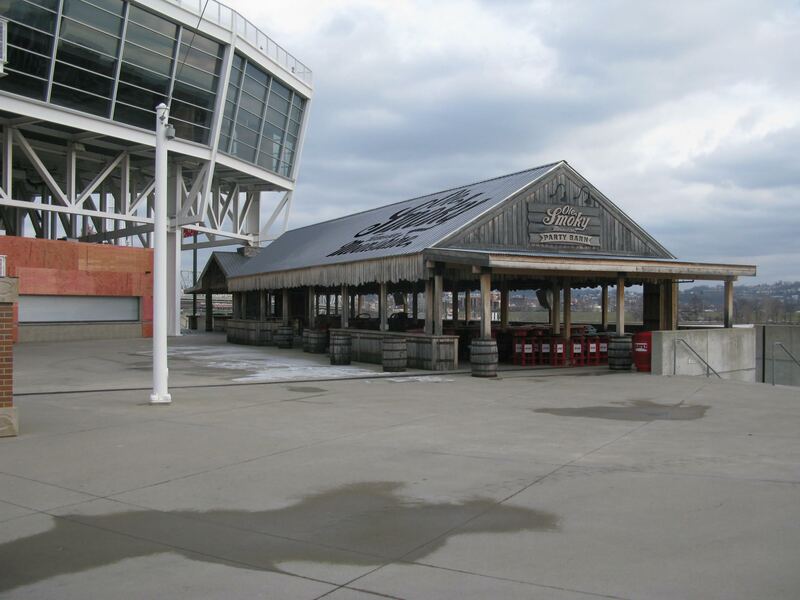 The existing Party Barn is one of the most popular party areas at Great American Ball Park, available for groups ranging from 25 to 200 guests. Guests can enjoy access to a dedicated concession stand with a catered barbecue buffet featuring unique barbecue, turkey legs and other “down home” side items. Visit www.OleSmoky.com for additional details and Reds.com/hospitality to reserve the Ole Smoky Party Barn for an upcoming Reds game.